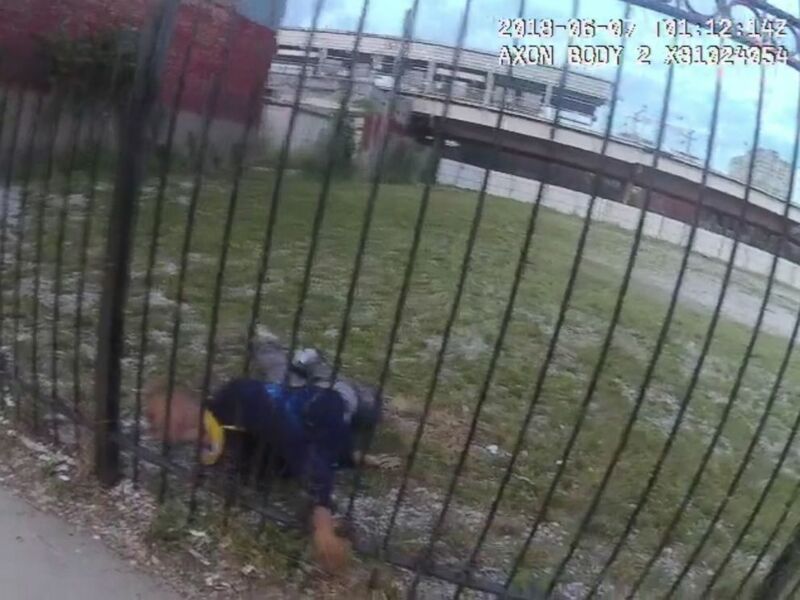 The Civilian Order of Police Accountability in Chicago has released body camera footage showing the shooting a 24-year-old man while he was running away from officers last month. Maurice Granton died after he was shot on Chicago's South Side on June 6 as police officers conducted a drug investigation in the area, ABC Chicago station WLS reported at the time. 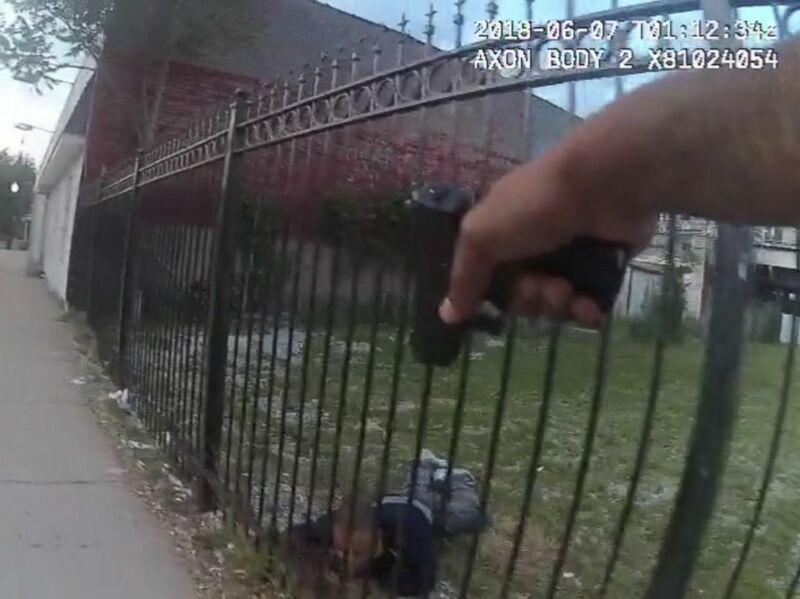 In the bodycam video, Granton can be seen scaling a wrought iron fence when an officer on the other side opens fire. After Granton falls, he writhes on the ground, and the officer tells him to "stay down" while pointing his gun at him. A Chicago Police officer opened fire on Maurice Granton, 24, as he fled in the city's South Side on June 6. "There's a weapon right there," one officer says to another. "Go get the weapon." Another officer can then be seen climbing to the other side of the fence as a bystander calls out to Granton. "Hey, Maurice!" the bystander yells multiple times. The video shows Granton lying on the ground for several minutes as a crowd gathers nearby. At this point, multiple officers were on the same side of the fence as Granton, but no one administers aid for several minutes. 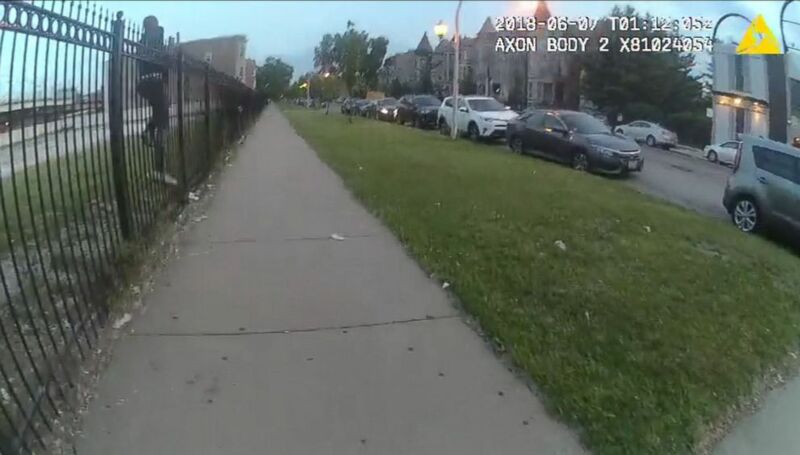 Chicago's Civilian Office of Police Accountability released body camera footage showing the moment 24-year-old Maurice Granton was shot while fleeing police on June 6 in the city's South Side. In the police department's initial statement, officials said officers chased Granton when he fled on foot and that he was shot after he allegedly displayed a weapon when the officers ordered him to stop. After the shooting, the police department released surveillance video that they said showed him reaching into his pocket for a weapon. It is unclear what the person in the video was reaching for. Police said a weapon was found on the scene, but the victim's family said it did not belong to Granton. Granton's father, Maurice Granton Sr., told reporters that "at no point" was his son armed, adding that there was no confrontation between him and the officers either. "He was running," Granton Sr. said. Granton was shot in the back, the Cook County Medical Examiner announced two days after the shooting. In a statement to ABC News, the Chicago Police Department said it is "fully cooperating" with COPA's investigation of the shooting. "We continue to provide COPA with any and all requested information and fully support their methodical review of the facts," the statement read. "As of this time, COPA has not requested that any of the officers involved be relieved of police powers." Granton's family intends to file a civil lawsuit against the police department. ABC News' Josiah Bates contributed to this report.